Recloose is Back! Saturday 4/27 at The Pickle! If you were here for the last one with Matthew, you already know. Click on a bubble. Do it. We're flying dirty, once again. makes us wanna sing a slum village hook: plaaaya. For the 6th straight year, babies. Yes, Christmas came in April. Bristol's boss of the bass drive is gonna play his first Miami gig ever with us, before we all hop over to Coachella the next day. but could you bash a little softer, please? 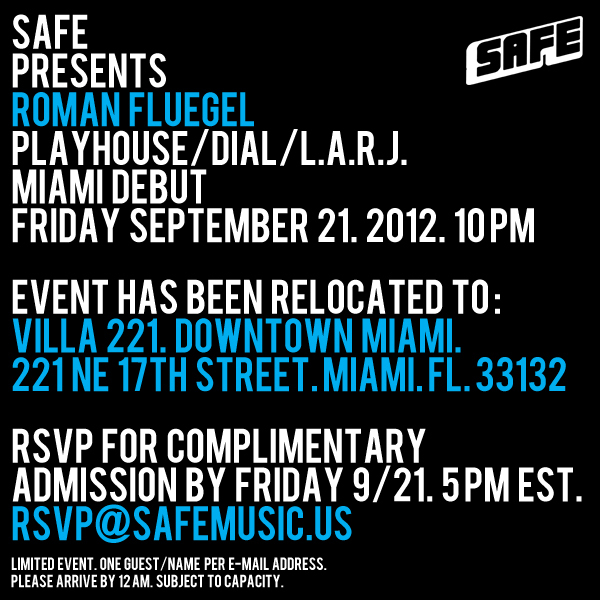 Roman Flügel makes his Miami Debut with us on Friday September 21st at Villa 221. RSVP for Complimentary Admission by Friday 5PM EST. *Limited Event. One guest name per e-mail address. Please Arrive by 12AM. Subject to capacity. 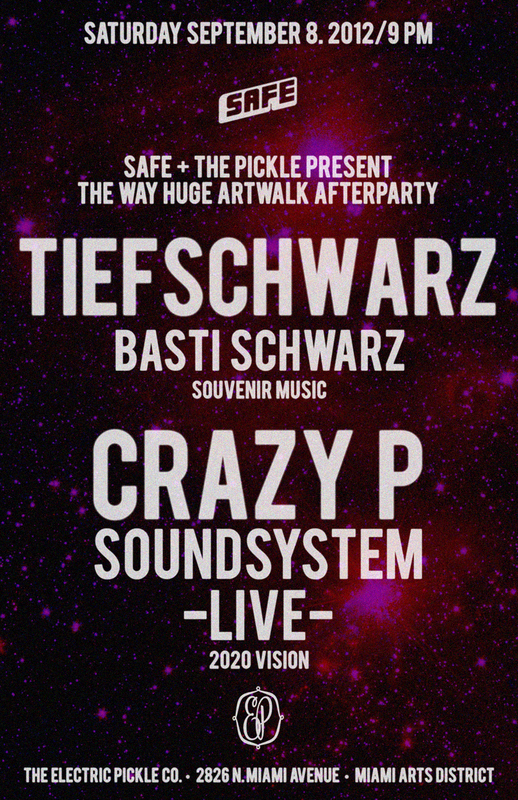 Saturday 9/8: Basti Schwarz (Tiefschwarz) & Crazy P - Live. The Way Huge Art Walk Afterparty. The Parisian-Berliner genius producer and boss of Apollonia joins us at The Pickle this Thursday September 6th for a an extended evening of music. Miami's Gil Montiel will also be performing the latest variation of his live set. Advance Tickets: $10. Available through Resident Advisor.